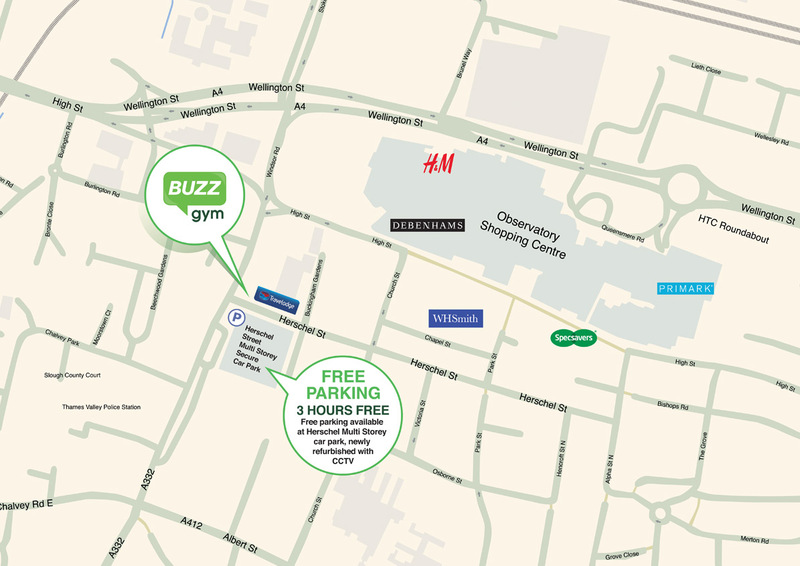 Free Parking – Buzz Gym offers free parking for members. Parking is a minutes walk away as indicated on the map below. Parking is limited to three hours maximum.